"Stars, they're just like us." 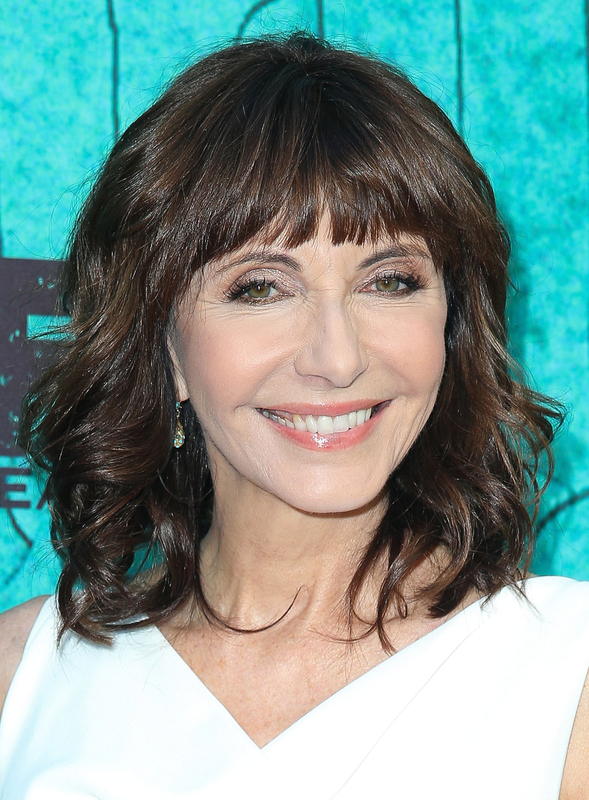 It's a clichéd phrase that's repeated often, but it really does ring true sometimes — like in the case of the delightfully down-to-earth Mary Steenburgen, who has a role in the new film A Walk in the Woods (out Sept. 2). The movie stars Robert Redford and Nick Nolte as a pair of estranged friends attempting to hike the Appalachian Trail, and Steenburgen appears as a motel proprietor they encounter along the way. But despite a long career that spans from her Oscar-winning performance in 1980's Melvin and Howard to roles earlier this year in acclaimed television comedies Last Man on Earth and Orange Is the New Black, Steenburgen's still not above being a little starstruck now and again. "Lots of things intimidate me, but I think the biggest surprise for me was that I immediately became the 12-year-old in North Little Rock, Arkansas watching The Way We Were," Steenburgen says of her first experience working with Redford. "I had to fight to keep her from making a fool of me." Although she was a bit intimidated by her Oscar-nominated co-star at first, she eventually got over the shock and was able to really enjoy the experience of working alongside some incredible actors. "One of the nice things about being this age is some of the relaxation that comes with new experiences," the 62-year-old actress says. "It meant a lot to me to work with [Redford], he was someone I'd always wanted to work with. And then the surprise of being around Nick Nolte... It was insane." Steenburgen also reveals that she experienced some envy when making the film, since her character didn't get to join the others on the hiking trail. "I was kind of jealous because I was hearing all these stories about there being days where it was so remote where they were shooting that trucks and cars couldn't get up there and they had to put things on, somebody told me, camels," the actress says. "It sounded like the kind of thing where I would have absolutely loved being there. And I hate missing stuff. People say they're gonna put FOMO on my grave because I do have this thing about fear of missing out." As a frequent hiker in real life, Steenburgen had plenty of reason to be mad she missed out on the film's hiking. "I could have shown how great I am at [hiking]," the actress jokes. "I like hiking ... I have two dogs [who hike with me], one of them is a little rescue dog that's 17 years old and we're all trying to keep up with her." Talk about FOMO — who wouldn't want to go hiking with Mary Steenburgen and a spunky old rescue dog?